Over the weekend of 2nd May 2015, the story of the Burning Nights – CRPS Support creator happened to feature in several online newspapers and websites. The 2 popular daily UK national newspapers were; the Daily Mail/Mail Online UK national newspaper and the Mirror Online UK national newspaper. It also featured in Wales Online and the UK online magazine called SHINE! 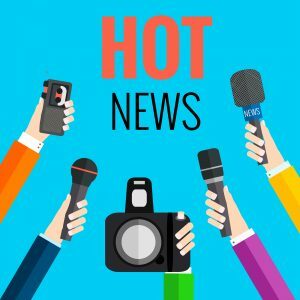 Media Coverage for CRPS/RSD – Hot news! This was great coverage for bringing CRPS/RSD to the forefront of the media and the general public. Many people have contacted Burning Nights asking about CRPS/RSD, what it is and how it affects sufferers. We also received messages from sufferers in all corners of the globe which was great as we managed to reach CRPS/RSD sufferers who had not previously found too much information in their own countries. There were just a couple of factual errors that had been made, namely that I am a double above knee amputee not below knee and have been battling CRPS/RSD for 12 years not 3 years. Hi i had a operation for drupuytons disease. Naw i have crps. My hand wont close or open. How has this happened. Im so frustrated i can’t do my crafts. Its nearly 4mnths since my op. Can’t make sense of it. I’m sorry to read that you now have CRPS. Unfortunately during operations nerves can be touched, irritated or caught sometimes through no fault of the surgeons. CRPS can occur after a number of different reasons for example – nerve injury, soft tissue damage, heart attack, stroke or even after an insect bite. If you want to chat with other sufferers, please join the forum or send us an email. Our emails are answered by CRPS sufferers who have gone through most of the treatments available. We are here to help and support you.